Here's a match made in automotive heaven. Mugen has gone about working its magic on the Honda-powered Ariel Atom to celebrate the car's 10th anniversary. While the trick red chassis and white body work is enough to get us licking our chops, the Japanese tuner has also tweaked mighty four-cylinder at the heart of the open-wheel heathen. A fully blueprinted K20Z Type R engine now provides the grunt, and thanks to new high-compression pistons, high-lift cams and new valve springs, the four pot kicks out a lofty 270 horsepower. Mugen says that a full seven days of work goes into each and every lump. All told, the extra pep should get the Mugen Atom to 60 mph in 2.9 seconds on its way to a top speed of 150 mph. Yowza. Buyers will also be treated to special four-piston brake calipers built by the stopping gurus at Alcon, and a modified version of the fully-adjustable coilover suspension found on the Atom V8 is standard equipment. Additionally, the cockpit is fitted with a new flat LCD screen to display the car's vitals. So far, there's no word on price, but given that Mugen is only turning out 10 examples of this rare bird, we'd bet a shiny nickel that they won't go cheap. Hit the jump for the full press blast. 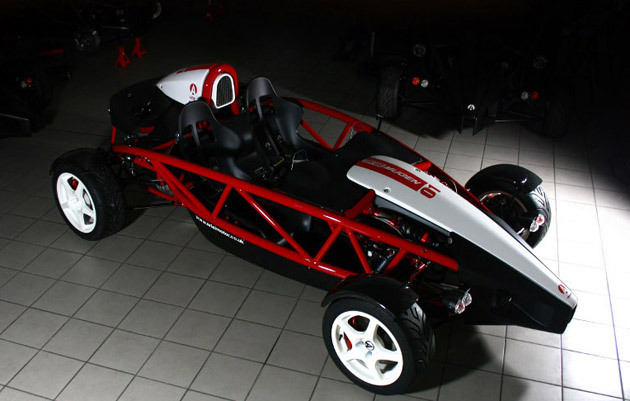 Mugen goes molecular with special-edition Ariel Atom originally appeared on Autoblog on Fri, 14 Jan 2011 19:27:00 EST. Please see our terms for use of feeds. I thought the original was already 0-60 in 2.9? That's what they said on Top Gear.